You never really know what’s going to happen in life, especially midlife. And, you never know what’s going to happen when you do what you love. 2017 was the year I learned these lessons loud and clear. I’ve been to New York City more lately than the past few years. I’m not even crazy about NYC but I couldn’t help myself. There’s really only one reason I’ve been going so often. It’s the Museum of Modern Art. Wait, let me be more specific. I’m not just going to MoMA. I’ve been going to see something I made with my own hands displayed at The Museum of Modern Art. I’ve been going to see my name displayed as part of a huge exhibit. I’ve been going to blow my own mind that any of this is happening. If you would have told me that something I made would be hanging in the Museum of Modern Art in 2017, there is absolutely no way I would have believed you. I wouldn’t have believed you if you told me this when I was a kid. I wouldn’t have believed you if you told me this when I was an adult. To be honest, if I hadn’t seen it with my own eyes, I’m not sure I would have believed it at all. 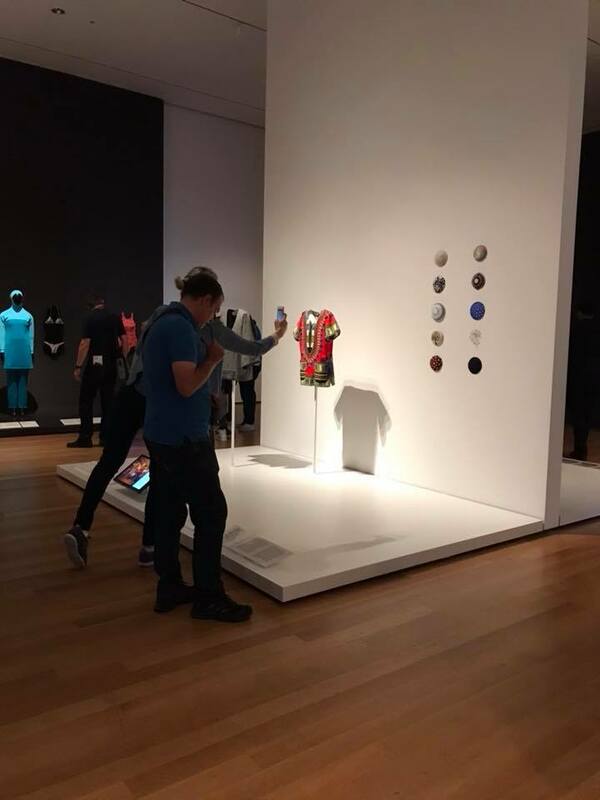 The MoMA Exhibition is called: Items: Is Fashion Modern. Items like Levi’s 501s, the Breton shirt, and the Little Black Dress, the sari, the pearl necklace, the kippah, the Swatch Watch, the hoodie, the Wonder Bra and many more highly recognizable pieces are included. Many items in the exhibit are from our childhood. 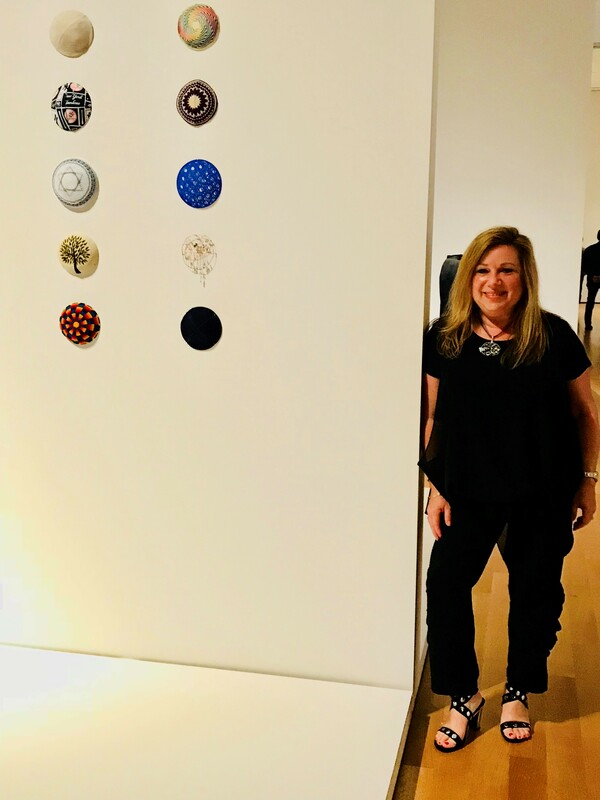 And included in this amazingly cool exhibit on the 6th floor of the internationally renown Museum of Modern Art is something of mine: A beaded, wire kippah for Jewish women. 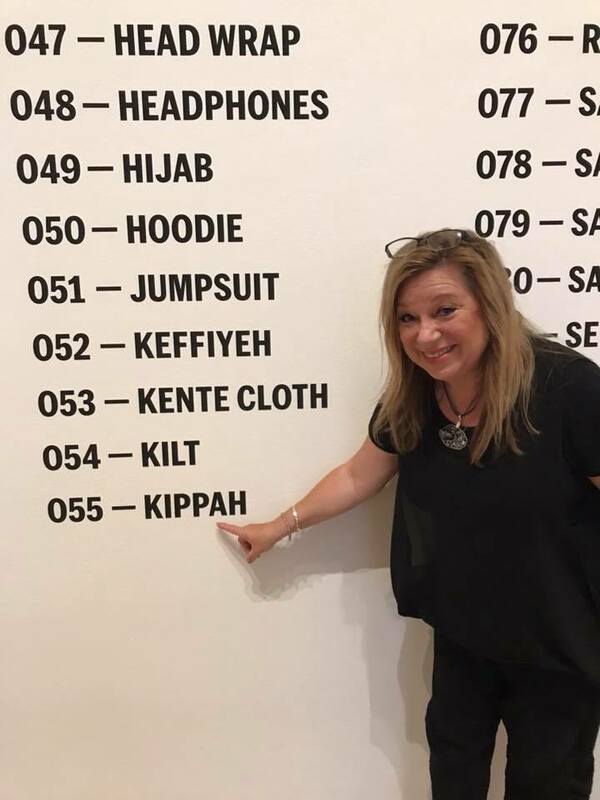 My kippah is included in the kippah collection, one of the 111 categories identified as iconic. I’ve been making them for about 10 years and selling them on my Etsy site, Wired Up Naturally. It’s been my passion project. I love beading with wire. 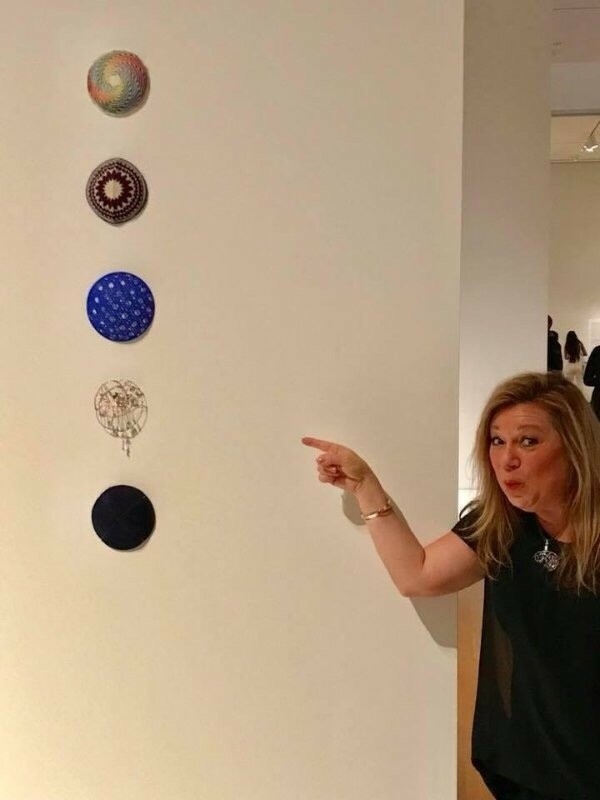 I love the idea of making a beautiful little art piece for Jewish women to wear instead of a hat, a men’s kippah, or a lace doily (which are all common options when women want to cover their hair). I call it my passion project because it’s really a “zen hobby” for me. I get an excuse to buy beads. And I get to feel good because I help make women happy by offering them an artistic and funky alternative as a head covering. It was never my day job. Something I made with my own hands is currently part of a huge exhibit on the 6th floor of MoMA. As I’m telling you this, I still can’t believe it and get emotional just thinking about it. A 54 year old woman in the middle who has a bit of an addiction to beads. Now, I know some of you can relate to being madly and completely in love with some kind of craft or art making. I’ve talked to so many of you as clients. Some of you love sewing and quilting, and have a fabric addiction. Others of you love painting, playing music, making jewelry or photography. Or the knitters our there…and your passion for wool. Whatever your passion, it’s easy to spend a lot of money on it. And it’s NOT always easy to find a space where you can enjoy doing it and storing it. It’s not always easy to find the time either. To prioritize it. Quite honestly, do you get the whole bead thing? Don’t you find beads fascinating? They’re so hard to resist. Little works of art in a super small space. Kind of like my kippahs! Like many hobbies, I find everything about working with beads so relaxing. I just love looking for particularly interesting and special beads while on vacation. A bead with a story is the best bead of all. So getting back to the MoMA and how this exciting whirlwind all happened. I’ve always been creative but never had any formal art training. About a decade ago, my kids went to a extremely innovative Jewish day school called The Toronto Heschel School. I loved it and felt so at home. It is also a school where boys and girls wear head coverings. You might be familiar with something called a yalmulka or a kippah. Here, as an egalitarian school, boys and girls wore something on their heads. I saw some pretty creative ideas in this cool environment. Students were painting all kinds of things on their head coverings. Little illustrations that showed what they loved – everything from sports, to favorite animals to flowers to rainbows. I saw someone put actual buttons in her design. And then one time, my son’s Grade 7 class experimented with making a kippah out of wire. A women’s head covering could be an opportunity for creative self-expression. It could be artistic rather than simply functional. I could use MY favorite BEADS in the design and make something beautiful. I could also use someone else’s special beads to make something custom and personal. The Abalone shell was at the top of my list to start experimenting with. I swoon when it comes to Abalone and Mother of Pearl. The more I played, the more I fell in love with what was possible to create with beads and wire. Eventually, I had dozens of these beaded wire kippahs made. I loved the emotional zone I got into while making and designing them. The feedback started rolling in. People loved wearing them. I started to get custom requests too, to match special outfits for Bar and Bat Mitzvahs and weddings. As I mentioned above, I decided to start selling them on Etsy and that’s when my Etsy store, Wired Up Naturally, was born. As of this year, I also started making pendants, so you can check it all out there. Now there’s something for everyone! I totally related to the concept of a passion project when I think of how much enjoyment I get out of making my whimsical, artistic kippot. 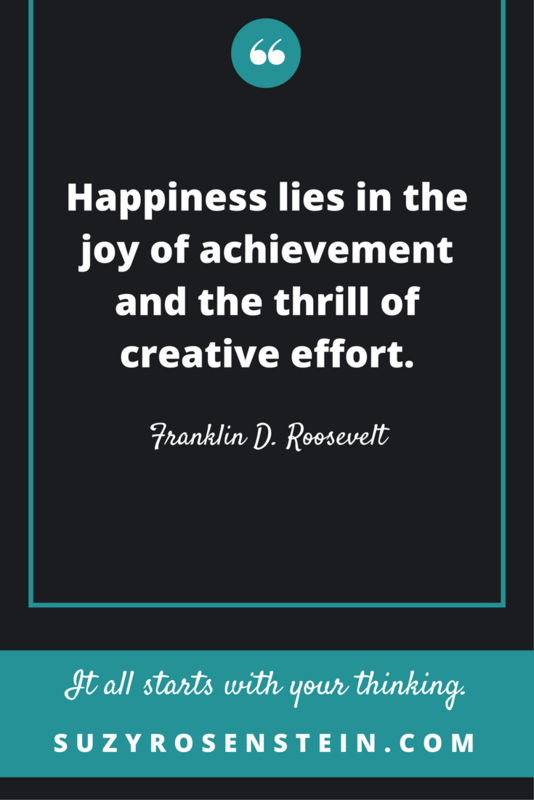 Especially in midlife (#passionproject50). First, a passion project is something you actually do that’s typically not your career. Second, you’re super happy and satisfied when you do it. You’re relaxed, You’re focused. And you are really into it because it’s aligned with your sense of purpose and core interests. You’re excited about it at a deep level. I think everyone should have something like this that they love! I developed a cool little worksheet to help you figure out what a good midlife passion project might be for you. Click here and it’s yours! So back to the Museum of Modern Art. About five months ago, a curatorial assistant from the Museum of Modern Art contacted me through my Etsy site. You should have seen my eyeballs when I read it. I thought it was a hoax or spam or something. I googled her name, the curator’s name, the exhibition and it was all real! 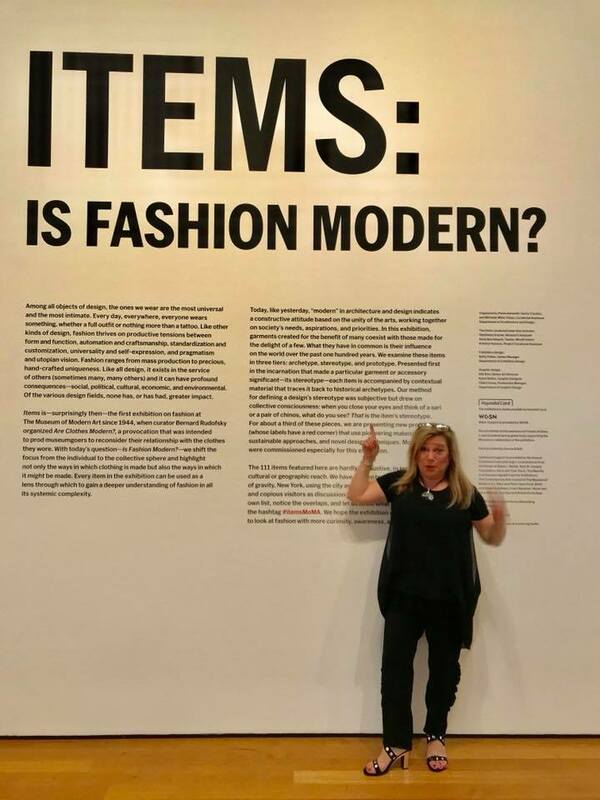 She asked my permission to include an image of one of my kippahs in an upcoming printed exhibition catalog and accompanying exhibit called, Items: Is Fashion Modern. It was so out of the ordinary. Beyond my wildest imagination actually. I called a designer and artist friend of mine. I told her what happened. She was beside herself and described it as being invited to a party that I didn’t even know existed. Exactly how I was feeling. One of the craziest, most delightful stories of my life. Something I could never have imagined. 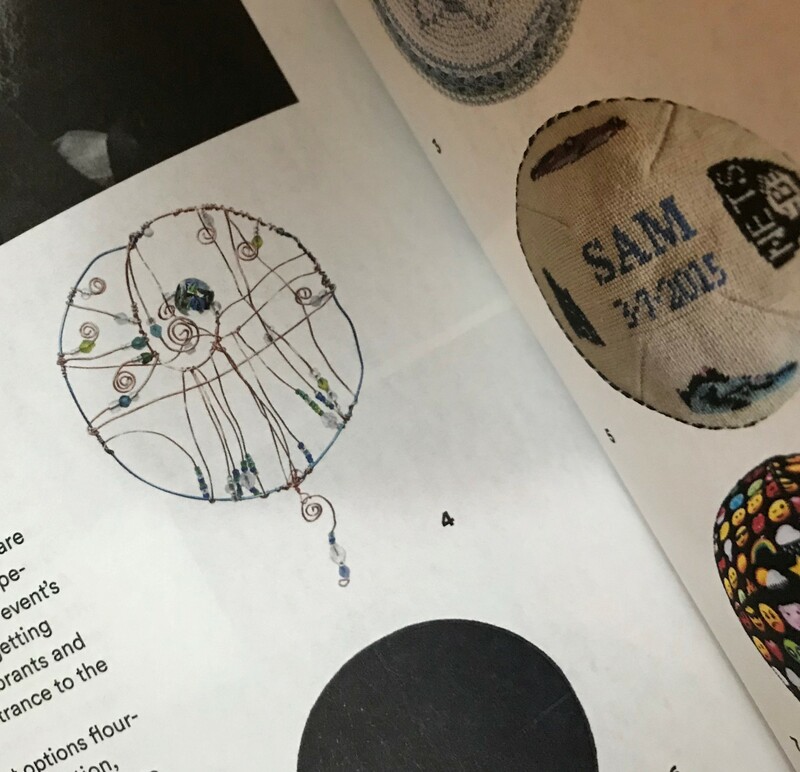 My kippah is even in a MoMA book about the exhibit. Speechless. My name is listed as an Artist at the Museum of Modern Art. Again, Speechless. I can’t thank the curators enough for finding my work and inviting me to participate. I will never forget this once-in-a-lifetime experience and am so grateful. Why is it all so hard to believe? Too many limiting beliefs perhaps. Just not enough practice with really dreaming BIG! And it all came from doing something I loved. Waiting for the exhibit to begin was interesting. During those five months, I continued to find it all too hard to believe and had lots of interesting self-coaching moments. Watching my own mind prepare myself for disappointment was fascinating. It was easier to imagine failure somehow than success. So interesting what your brain does to keep you safe. That’s why self-coaching is so important. And your feelings, my friends, drive ALL of your behaviour. We create our results. And our results prove our thoughts. This is why it’s CRITICAL to make sure you’re managing your mind with intention. Life’s too short to live with your brain on autopilot. For now, contrary to anything I would have ever imagined believing, I’m definitely a woman in the middle who’s in a New York State of Mind because my work is included in an exhibit at MoMA. Never stop believing in yourself – no matter your age; no matter your stage. Make sure to find time to do what you love. You just never know what you can create from your amazing energy. Don’t forget to get going with your own passion project! And keep me posted. I want to hear all about it! Click here! Want to hear more? 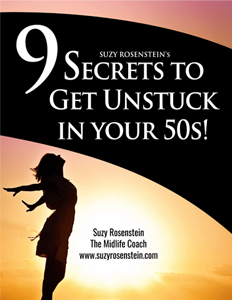 I’ve included lessons learned from the whole MoMA experience in my podcast, so check out episodes 13, 14 and 15 of Women in the Middle: Loving Life After 50!